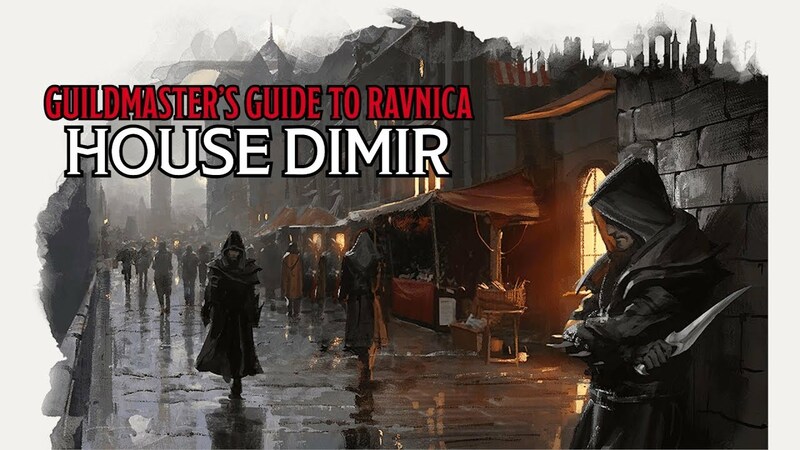 The Dimir are a secret guild–on the surface, they’re messengers and reporters that facilitate trade and communication across Ravnica. 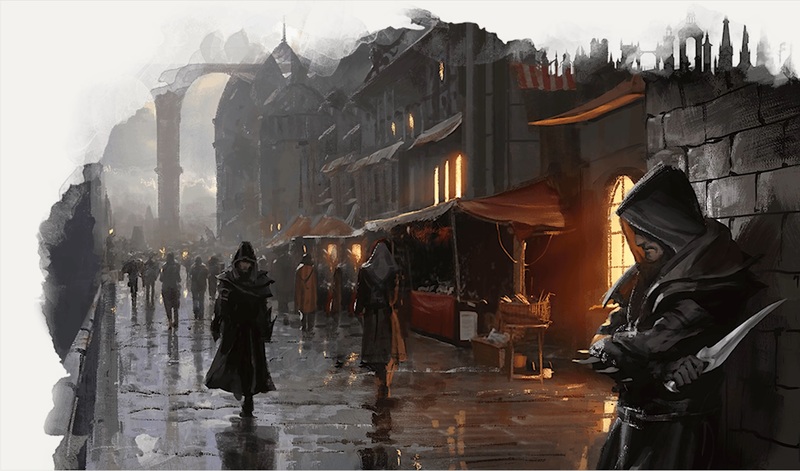 But just underneath that, they’re a sinister guild of spies and assassins, whose existence is only whispered at in the Guildhalls around Ravnica. They are everywhere and nowhere, they trade in secrets and lies, even amongst themselves. They are: the Dimir. House Dimir is a Guild with a ton of rich roleplaying opportunities. This is a place for antiheroes, sure, but it’s also a place for players who want to play with intrigue and secrecy. With all the different layers involved, even an individual Dimir agent might not know the extent of the webs of intrigue that permeate the Guild. Which means there’s a lot of juicy storytelling to be done. You could be a group of arguably heroic individuals who discover what Dimir actually does, or better still, you could just be a normal courier who slowly finds themselves drawn deeper and deeper into a web of intrigue. 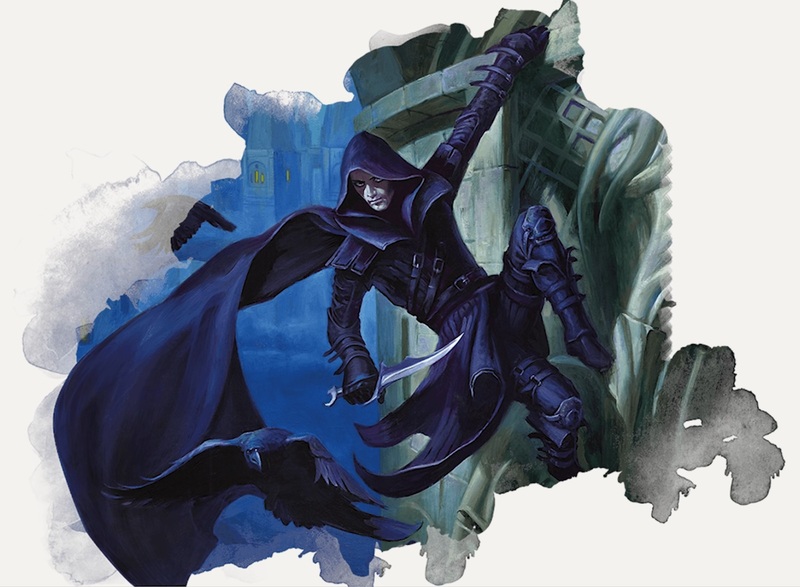 There’s room for fish out of water, players of games, spinners of webs–all of this can fit in seamlessly in House Dimir, which makes it so very textured for both heroes and villains. If you’re looking for Antagonists, Dimir are a natural choice. They don’t fight you directly, but instead send agents and wield secrets and make it so that you’d rather work with them than fight against them. And they’re good at it too, being founded by a Vampire named Szadek who originally set out to create an organization of couriers, information brokers, and librarians–but then used the influence and information gathered to build a city-spanning spy network that vastly outstripped the function of the messengers. Eventually Dimir disappears from the public record until Szadek is killed during the Decamillennial celebration. 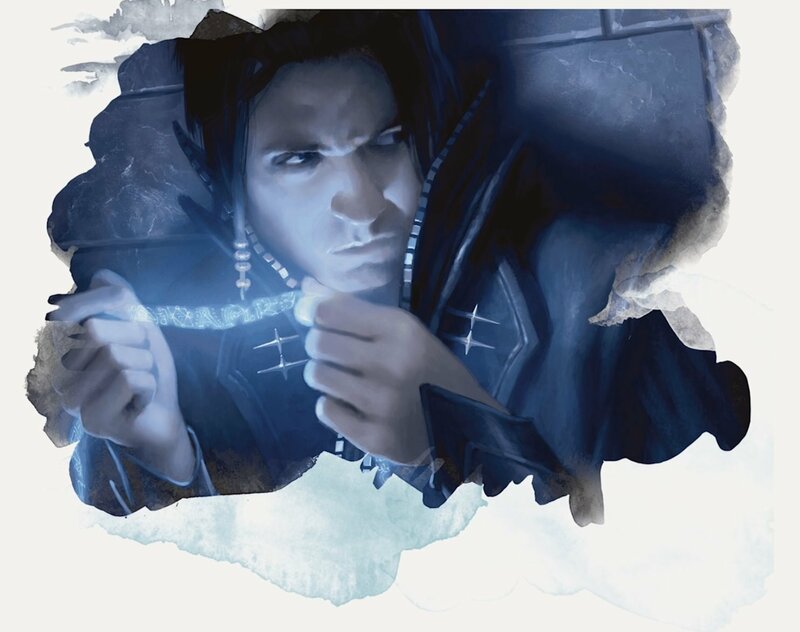 Now its new Guildmaster, Lazav, and his shadow council run the Guild indirectly–using telepathy and other means to convey orders to members of House Dimir without an apparent source or reason–just the expectation of obedience. House Dimir currently is all about knowledge, carrying on much as it did before Szadek’s untimely demise. They plot and scheme against the other Guilds of Ravnica, ensuring that they come out ahead. As a member of House Dimir, your character will have been recognized by higher-up agents as a potential benefit and you’ll come to light as a Dimir Operative. As an operative, you’ll have proficiency with Deception and Stealth as well as a False Identity that allows you to appear to be a member of a different Guild. You’ll also gain access to the new Dimir Spell: Encode Thoughts. You’ll also have a contact within Dimir itself, which is one of the more entertaining tables to roll on. As you rank up in the Guild, you’ll slowly gain more responsibilities, and more knowledge–but there’s more danger inherent at higher levels. As an Independent Agent, you’ve been given a lot of leeway to carry out your orders. 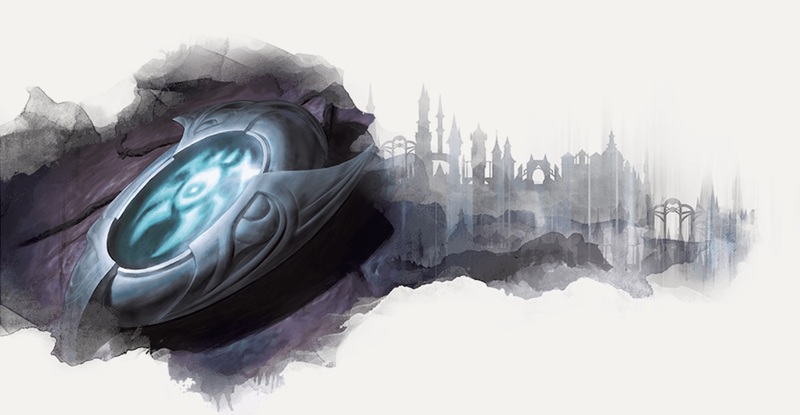 Dimir agents almost always work alone–but the Guild will have given you access to a spies murmur, a magical device that allows you to communicate telepathically with another person that you know is wearing one within a mile. As a Collector of Secrets, you’ve proven your worth and have gathered enough information about the people and places around you to make you dangerous. As such, you have a hidden safe house you can always hide out in, and pending DM permission, you can discover secrets about people you’re familiar with. 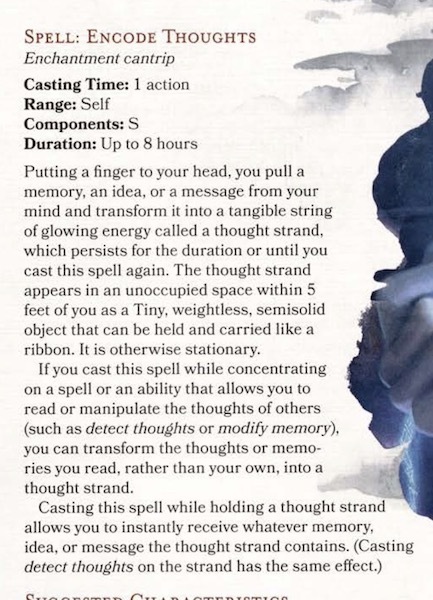 You’ll also gain a Dimir Charm, which allows you to cast blink or sleep or use your reaction when damaged to turn invisible and teleport up to 30 feet away–where you’ll remain invisible until the start of your next turn. Discover enough secrets and you’ll be inducted into the Inner Circle, though there is a significant leap in terms of Renown needed. If you make it this far, though, you’ll be given the ability to command other Dimir agents. At renown 50, you might become one of the Guildmaster’s Confidants, a select few who know House Dimir’s Guildmaster, Lazav–and who know that he’s the leader. 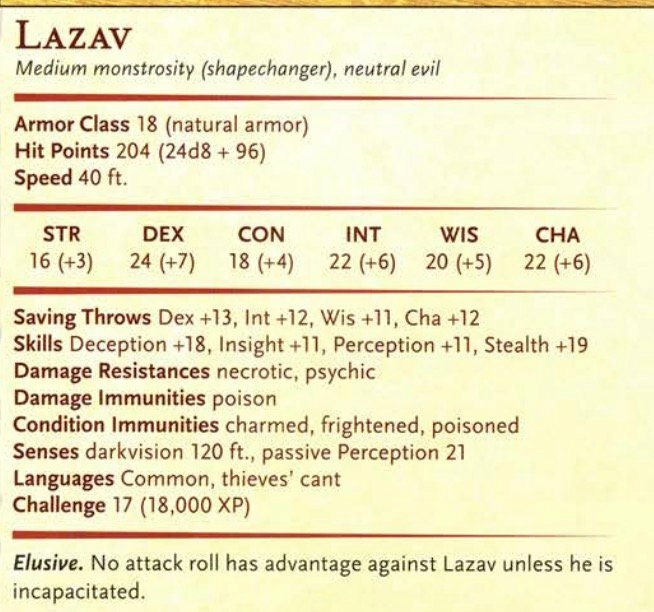 Sure you’ll have the direct command of a network (an extensive network at that) of spies, but it also means Lazav personally knows you and expects results. 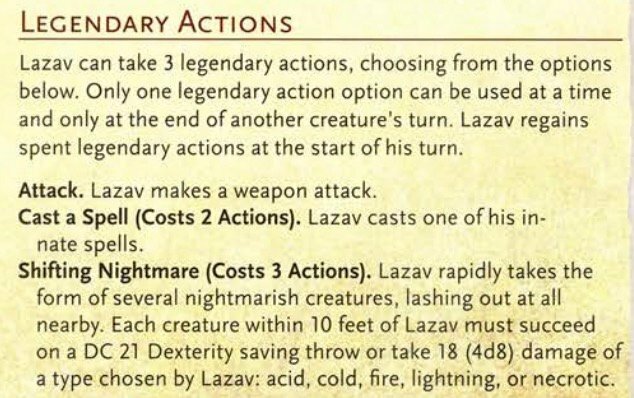 Lazav is a cunning opponent whatever your party composition. You’ll never have advantage against him, some of his unique abilities like Shapechanger Savant or Psychic Defenses mean you’ll never catch him off-guard. Telepathy only works if he decides it does, and you can’t read his thoughts or determine if he’s lying no matter how many natural 20s you roll on your insight check–and sure a natural 20 on an ability check is not an automatic success, but a lot of GMs treat it that way anyway, but even if it was, no dice–essentially he can be anyone, anywhere. Add to that a list of mental and illusion spells that he can cast innately, and legendary actions that will make him nearly impossible to catch. His innate spells include things like Freedom of Movement and Vicious Mockery, which lets him dictate how a turn goes, as you’d expect from any creature powered by black and blue mana.